Dragon Island - Play the Best Free Spin NetEnt Slots with No Download! I don’t know about you, but personally, I can’t seem to think of dragons these days without the Game of Thrones theme track looping on repeat in my head! These mythological creatures are hardly new of course, they’ve fascinated mankind and been the centre of stories for thousands of years. Tapping into this popular scenery springs NetEnt. 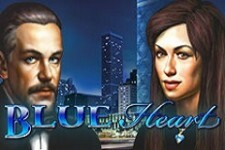 A game manufacturer known for spectacular looking slots which thrill players and deliver handsome rewards. The Dragon Island slot has a lot to live up to a result, which begs the question, is it any good? A first glance might disappoint many NetEnt fans. Whilst the game is certainly on a par visually with much of the competition, it’s hardly up there with the best NetEnt offerings. Thankfully it is still very entertaining to play and contains a number of novel features. Not least of these is that this is the very first all ways pay game from NetEnt, something we’ve all been waiting for! Check out our full review of the Dragon Island slot and find out if this deserves its place in the range or should simply be left marooned on an archipelago somewhere! Given that this is an any way win slot there are a few things to note when configuring the game before spinning. Unlike many slots where wins can form in either direction, rather than just left to right, it’s an optional feature on the Dragon Island slot instead of a compulsory mechanic. You don’t have to engage it if you don’t want and it doesn’t affect the RTP. If you do choose to use it, the minimum stake will double. Which, whilst certainly the most exciting way to play the slot – isn’t the cheapest method. The lines in the game are also adjustable, with 1-15 in play. This allows far more setup options than many NetEnt games – as usually pay-lines are fixed. The entry level stake for all lines played is either 0.15 credits or 0.30 depending on your structure choice. The more you bet the higher that gap feels, with 75 or 150 credits in play at maximum levels (though only 15 in free play mode). Given this is a medium variance slot and, has a high RTP of some 96.7% you don’t have to be too scared of it. However, if you are going to play both ways and at max bet, you will still want to keep one eye on your bankroll. 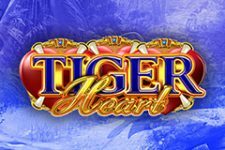 Fortunately, given all the other nuances so far, the game controls are exactly the same as almost every other NetEnt slot and thus it’s easy to handle for novice and veteran slots players alike. For those used to playing games from manufacturers like Novomatic and RTG the Dragon Island slot game will probably look very good. For anyone who has played the best visual treats NetEnt has to offer, such as the 3D Dracula slot, it’s going to be a let-down. It isn’t a bad looking game but there’s an aura of expectation with NetEnt slots and the animations, visuals and even the audio just aren’t up there with the ones at the top of the range. The five mystical fire-breathing monsters who populate Dragons island simply lack spark. What the Dragon Island slot doesn’t lack is action thanks to an insanely high hit ratio. In fact, given the games medium variance it’s quite ludicrous. It keeps the heart pumping though with one little win after another landing on the reels whilst you hope for a big five of a kind combination. To be fair, when they come they are worth the wait. The very top dragon offers 2500 coins for a full symbol set and even by NetEnt standards – that’s huge. True, half the pay-table is not awe-inspiring, being populated by low-value playing card symbols. On the other hand, it is the disparity in value between the two halves of the table that keep the variance sensible. Any higher and the slot would have to lower the volatility and action to break even for casinos. Your best chance of winning big on the Dragon Island slot is through a combination of the free spins feature and the wilds. During the base game, you get either a stock fixed wild or a multiplying one depending on whether you are playing in stock mode or all ways. In the free spins this combines with a stacked symbol randomly selected at the start of each spin, get too together and the dragons come to live and breathe fire into your balance. The other way to win big in the game is with a re-trigger. 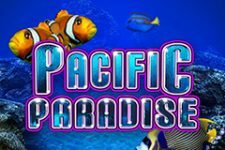 10,20 or 50 Free spins are on offer for 3,4 or 5 scatters and that applies during the feature too. As an added bonus, there is a 3,10 or 100 stake prize for triggering the spins game to start with. If you hit the top set of spins, therefore, you already begin with the same kind of reward that most spins features deliver in total. Add a re-trigger and the possibilities heat up! The Dragon Island slot is a fairly average game saved by a potentially excellent free spins feature. This isn’t entertaining enough as a free to play slot game. The anticipation only applies knowing that you can hit several hundred times your stake in the free games bonus when playing for real money. Whilst this might sound critical, it isn’t. 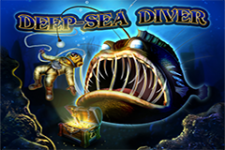 There are plenty of slots players out there who love nothing more than an epic free spins game!